Who doesn’t love a little magic? Snow globes are especially dear to my heart. I would always put a globe on my Christmas list. The excitement I felt opening my gift to find a tiny world created and surround by glass was simply magical. The scenes that “CoolSnow Globes” creates amazes me with its beautiful and transcendent worlds that would put a smile on anyone’s face. 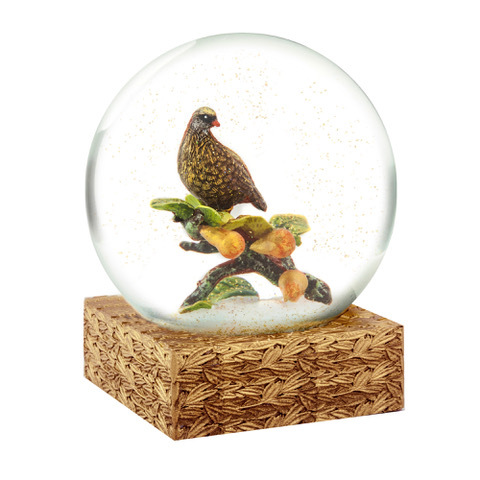 CoolSnowGlobes are a must have on your holiday gift giving list with unique designs, hand-painted, heirloom-quality snow globes! They are classic yet contemporary, fresh yet familiar. They have a globe for every reason and every season. “CoolSnow Globes” would be beautiful anywhere, you could put them on a mantle above a fireplace adoring their beauty or setting on your office desk and taking a shake for a wonderful distraction from your work. My grandmother loves birds and collects any birds she possibly can. I loved the Partridge in a Pear Tree globe. It is holiday themed and includes a beautiful partridge my grandmother will love. They have so many different globes to choose from these would make a great gift for anybody. I have always loved snow globes since I was a child! I do have a few in a collection. These seem lovely to purchase.